If there is a fire department in the USA it must be listed (or is soon going to be listed) at https://fire-departments.org/. Here we are creating one of the biggest online databases of US fire departments where you can get all possible information on every possible fire department in the country. Why would you need an online listing of fire departments in the USA? There can be plenty of reasons. Fires are as common in the USA as anything else and you would like to know the status of fire departments at the place where you live. You want to know how many fire departments are there, how well they are equipped, and what their workforce is. Even if you are moving to a new city, county or state you can quickly browse through our online fire departments listing to obtain all the information you may need in order to make arrangements about your house and residence. It is also a perfect place for the fire departments to add to the listings so that they become available to everybody using the website. Since practically every fire protection service in the USA is being added to https://fire-departments.org/ and consequently, it is becoming a regular dose of information for those looking for data on fire departments all over the USA, it definitely make sense to create a listing of your fire department here. 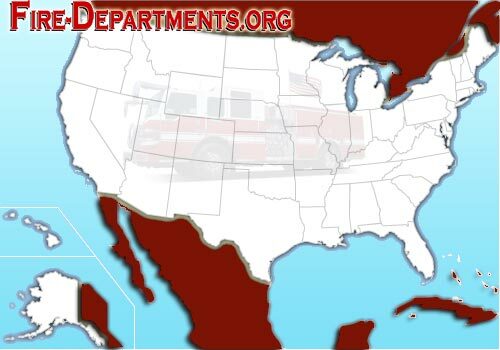 In our US online fire department listing you can find listings according to states, counties, cities, zip codes, geographical regions, mailing address, career fire departments and voluntary fire departments, and telephone numbers. All the information is constantly updated and users are encouraged to keep the listings as fresh as possible so that only the latest information shows up when our visitors search through the online listing. This US fire departments listing may also be useful to you if you are seeking employment as a firefighter or a rescue professional. You can immediately find the information on various fire departments all across the country within a few seconds. Once you have created your account it is very easy to add your fire department to our online listing. Its intuitive interface makes it very easy to enter all the details that help people find your department information as easily as possible. We request you not to leave the essential fields blank because they help us organize the information in a logical order. There is mandatory information and there is optional information. Although it is preferable to enter all possible details at one time to make it easier for you, you can initially enter just mandatory information so that your listing begins to appear on the listing and then later on you can, as you have more and more information and more time, add the optional information too. All the data that we gather from you helps us highlight your information in the best possible manner.